Located near the intersection of E 118th St and Olio Rd, Extra Space Storage serves residents of Fishers and Luxhaven. Locals will recognize our facility south of Fall Creek Junior High School. Extra Space Storage on E 118th St offers a variety of storage units, climate-controlled storage, drive-up access, and exceptional security. 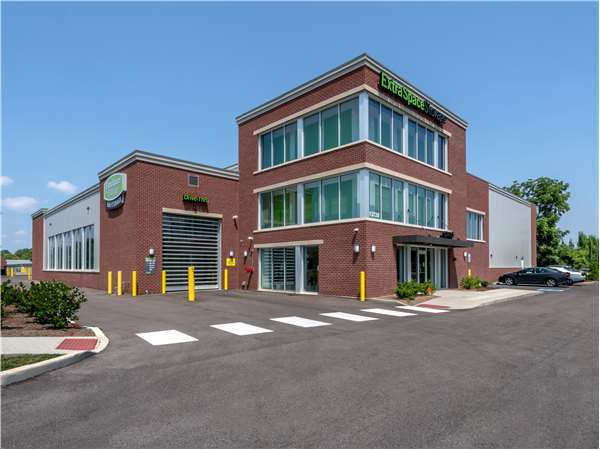 We're the self storage partner for you in Fishers! Drive south on Olio Rd. Pass Hamilton Southeastern High School and continue south. Turn right onto E 118th St. Our facility will be on your right. Drive north on Olio Rd. Pass Walgreens and continue north. Turn left onto E 118th St. Our facility will be on your right. Drive west on N 113th St. Turn right onto Olio Rd. Turn left onto E 118th St. Our facility will be on your right. Drive east on E 116th St. Turn left onto Olio Rd. Turn left onto E 118th St. Our facility will be on your right.